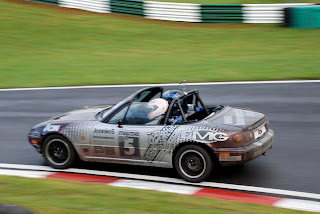 Project Merlot made its last track day appearance of the year by revisiting Cadwell Park in Lincolnshire. Robbie and Jon were the drivers for the day and clocked up a respectable 210 track miles, with Tracey and Katie as passengers. The Merlot handled the twists and turns of the course well, holding the corners tightly. Jon and Tracey were a little late arriving leaving Robbie and Katie to wait for half an hour in the cold; however this did not detract from a fantastic day at a fantastic circuit! !